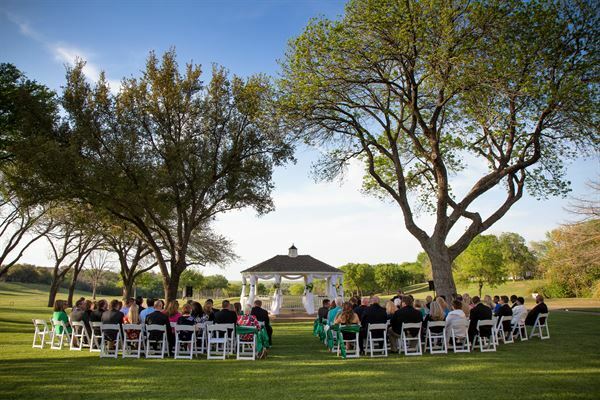 If you are looking for a place to host your wedding, meeting or party, consider Woodhaven Country Club. Featuring a beautiful gazebo for weddings, spacious banquet rooms for parties, and a board room for meetings, Woodhaven Country Club is the perfect place to host your event. All packages include standard linens of black or white tablecloths, white napkins, drinkware, cutlery and basic centerpieces. Pricing varies based on meal options and add-ons such as chair covers, fresh flowers etc. All Special Events at WCC require a five-hundred ($500.00) security deposit to hold the date. Event payments and deposit may be made by cash, check or credit card. Payment Breakdown: Deposit of $500.00 reserves your event date. Initial Payment of 30% is due 14 days after contract signed. Second Payment of 20% is due 90 days prior to the event. Final Balance is due 30 days prior to the event. Our Boaz Ballroom accommodates up to 250 guests and is the perfect setting for your special day! Overlooking the 18th Fairway, the floor to ceiling-windows showcase the spectacular view. Presenting a more intimate setting, our Foursome Room accommodates up to 50 guests and is also enhanced by the breathtaking view of our 18th hole. This room is perfect for board meetings or corporate presentations and networking events. This room is also perfect for intimate dinners and luncheons. On the lawn, our charming Gazebo chapel overlooks the 18th Hole. The setting is perfect both for intimate parties and larger ones. Exchange your vows against this beautiful backdrop with the sun on your shoulders. Located on our lower level with an equally beautiful, enveloping view of the Gazebo, 18th Fairway and our swimming pool. The Terrace Room accommodates up to 100 guests.